en español | Indigenous peoples have relied on the rainforests for their survival for thousands of years. Their knowledge of the forests and dependence on the lands make them effective protectors of the forests — and particularly vulnerable to the effects of climate change. 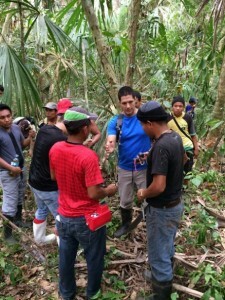 The indigenous group Organization of Embera and Wounaan Youth of Panama (OJEWP) formed teams that recently started measuring and recording the size of trees in the territories of five indigenous communities, with technical guidance from academics from the Smithsonian Tropical Research Institute (STRI) and McGill University. In May, the OJEWP team started their work in the community of Arimae, located in the Darien, an eastern province of Panama. 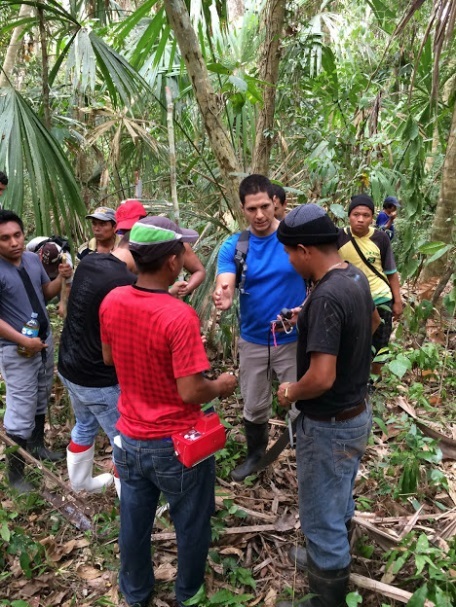 The team is now nearing completion of the data-gathering project, which will ultimately help researchers calculate the quantity of carbon stored in the forest. * The results will also contribute to identifying the overlap between Panama’s valuable forest carbon “stocks” and its indigenous territories, which are home to more than half of Panama’s forests. 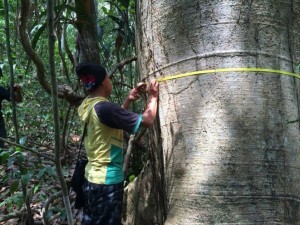 Access to this accurate forest carbon stock data for indigenous territories is crucial for indigenous peoples when they discuss policies to reduce emissions from deforestation and forest degradation (REDD+) with government officials. It’s also helpful for policy makers who design policies to conserve forests and their respective carbon stocks. Deforestation accounts for as much as 15% of all manmade global warming pollution. 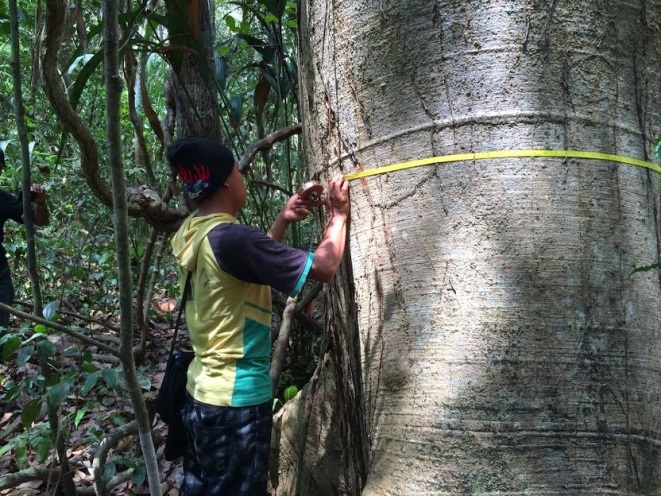 This measuring of forest carbon stocks is an important step in the measuring, reporting and verification step that ensures the integrity of REDD+ policies. Our team, comprised of mostly Embera [people] from various territories across Darien, has been instrumental in carrying out rigorous scientific research that will inform future REDD+ related policy and on-the-ground work. Nakibeler Lopez of OJEWP added that the team also learned “the potential contained in the natural resources of the territories of indigenous peoples in Panama.” With this potential in the forest’s natural resources, and the historical role indigenous peoples have played in protecting them, ensuring the indigenous groups receive a fair distribution from any future REDD+ program will be essential for the program’s success. An effective solution to global climate change must include REDD policies that engage indigenous peoples, and EDF will continue to support the effort to integrate lessons learned from the implementation of this work into REDD+ policy discussions. *Note: The fifth and final field visit for this project is scheduled for August. Once measurements are completed, the data collected will be fed into territorial carbon maps and shared with the participating indigenous communities. STRI, McGill University, OJEWP, and EDF – with the support of the Forest Carbon Partnership Facilities’ capacity building program – plan to present the results in December at the United Nations climate change convention in Lima, Peru.